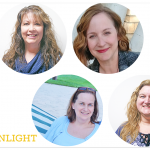 I read this article and wanted to share it with you: Meet Your Sonlight Advisors: Your Personal Cheering Team https://blog.sonlight.com/sonlight-advisors.html. Sonlight Advisors are your advocates! 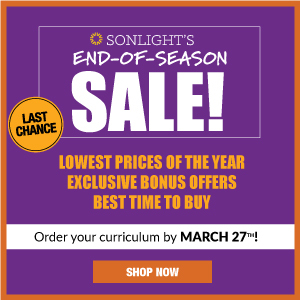 Whether you are considering homeschooling or have been using Sonlight for years, Sonlight Advisors are here to help you homeschool successfully. 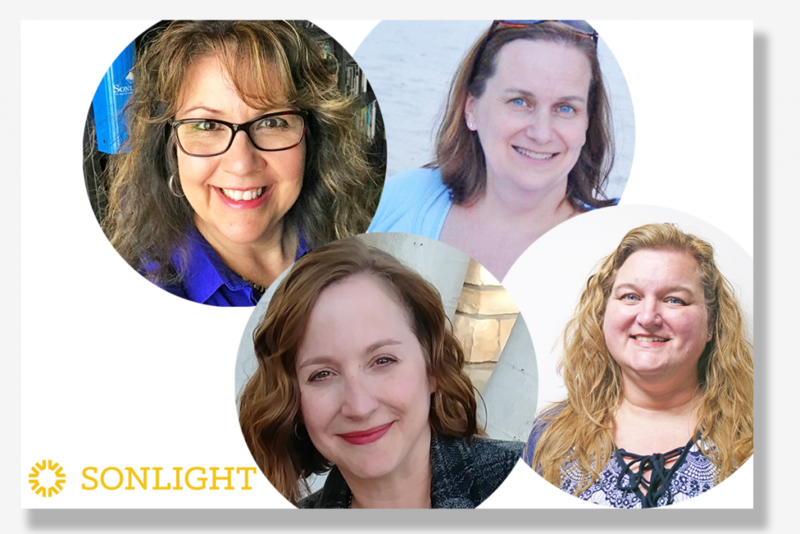 Because it's always nice to get to know the people behind the direct message, email, or phone call, here's a brief introduction to your 2019 Sonlight Advisors. Hi! 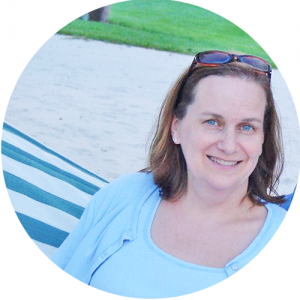 I'm Marci, mom to two interesting and thoughtful young women. They both used Sonlight K-12 and have been successful in their academic pursuits in college. That fact makes me incredibly proud, but as we all know, it's not the only measure of success. Most importantly, they're nice human beings. I've been married over half of my life, and our kids wish we would stop doing crazy stuff. But at least life isn't dull! 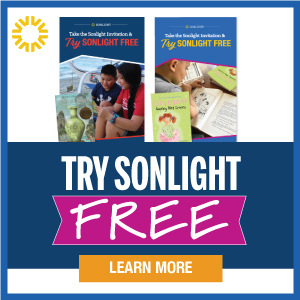 I've always loved reading, so when I saw Sonlight at my first homeschool convention, I was sold! It wasn't all snuggles and big accomplishments. There were tears and tantrums … theirs and mine! I'm now convinced that the most meaningful part of homeschooling with Sonlight was the time we spent together and not the academics as some might think. Reading, talking, cooking, cleaning, playing, laughing, singing, dancing, and arguing are the things I most treasure from those years. 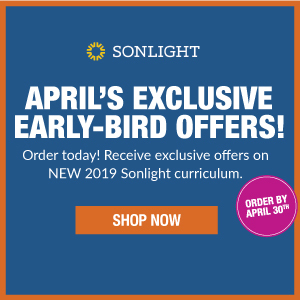 Homeschooling gave me the opportunity to pour into my kids on a daily basis, and Sonlight gave me the tools to help them grow into the people they are today. It is still pretty common to find us sitting around the table talking about a favorite Sonlight book. And, who says college kids are too old for Read-Alouds? One of my favorite memories is seeing my daughters recite the Gettysburg Address (memorized with Sonlight) while they stood looking out at the rows and rows of markers at the cemetery in Gettysburg. If I had to narrow down to one piece of advice it would be this—relax and enjoy the journey! One of my regrets is pushing that precocious first-born into school at four years old. 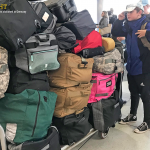 Sure, she was ready, but later I understood that the journey was so much more important than completing tasks as fast as we could. I hope when you get to the end of your journey, you look back— as I do, with gratefulness for the special time you got to share with your kids. 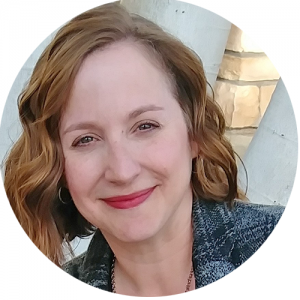 Hi, I'm Margaret, a homeschooling mom of 9 children, ranging from a 25-year-old in graduate school to a 4-year-old in preschool. 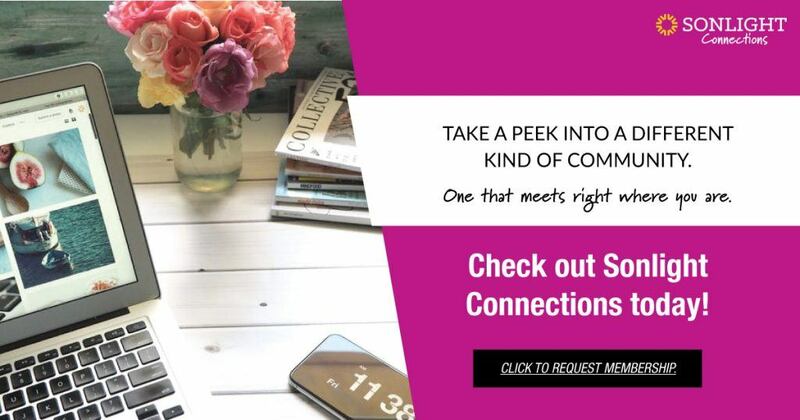 I first found Sonlight over 15 years ago and fell in love with the scheduling and content. Our favorite part of the day is reading aloud—everyone seems to gather no matter whose read aloud it is. My favorite thing about homeschooling is being able to watch my kids expand their knowledge and grow in their relationships with each other. In our spare time, my family enjoys looking after the farm life on our small Texas homestead. I love being a Sonlight Advisor because I want to encourage and support families who are homeschooling, particularly through the high school years. With homeschooling, sometimes the days seem long or unproductive but it is so worth the sacrifice to make this immeasurable impact in a child's life. 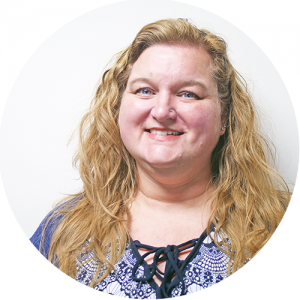 My name is Debbie, and I have been homeschooling and using Sonlight with my four kids for nineteen years—since my oldest started second grade. I have three boys, ages 20, 23, and 25. My daughter is 17 years old and a senior in high school. We are definitely not the perfect homeschooling family! I am a single mom. We’ve had a lot of ups and downs along the way. I have one who is profoundly gifted in math but who failed out of college. I have one with a learning challenge that we didn’t identify or remedy until his senior year of high school and which made reading, writing, and doing math very difficult. I have kids who enjoyed learning and kids who dug their heels in and refused to work. I’ve had kids cheat and lie about the work they completed (or didn’t). I have also had kids far exceed my expectations. None of my kids would choose reading as a pastime. But Sonlight has worked so well through it all. Sonlight’s literature-based approach works no matter who you are teaching. My very math/science oriented boys actually score better on the language portions of the ACT (or other standardized testing) than the math portion! I have one son who runs the nuclear reactor on a Navy sub, one who is a mathematician, and one who is in college and excited about future possibilities. My daughter is getting ready to go to college next fall and considering becoming a chiropractor. 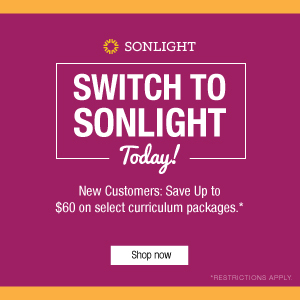 I love helping families choose and use Sonlight Curriculum. I have a passion for homeschooling high school and helping parents realize that not only can they do it successfully, but that their children have limitless possibilities when they homeschool high school. I also love math! When I have the chance, I love camping—preferably by a mountain stream. I use the time to read, sleep, and draw close to the Lord. Homeschooling was never something my husband and I thought about for our family, but God had other ideas. The private school my oldest was to attend closed unexpectedly just before he entered kindergarten. 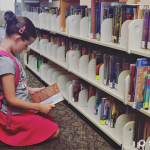 I attended a homeschool conference only to meet my sister for lunch, but glancing at the sea of curriculum options, I was immediately drawn to the books and Instructor’s Guides (IGs) at the Sonlight booth. My parents never read to us growing up and if I was to homeschool, I knew I wanted something different for our children. So, our Sonlight adventures began in 1995 with a kindergartener and an 8-month-old son. 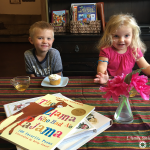 Once we started, I found my favorite part of our day was reading out loud to my boys. Thankfully, the IGs prompted our family to discuss many different topics and worldviews through a Christian viewpoint before they left for college. Both sons used Sonlight exclusively from PreK through twelfth grade. 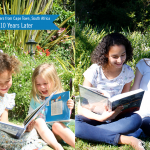 Sonlight has truly developed lifelong learners in our family. In 2013, our eldest graduated from a private university. He is currently finishing his MBA. Our youngest is completing his last year of college and pursuing his passion/career in cybersecurity. 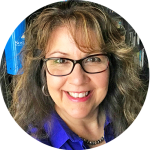 I decided to return to college after my youngest graduated from homeschool and finally earned my bachelor’s degree. 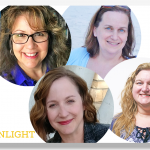 I have been working for Sonlight as an Advisor for over 17 years. I will be forever grateful to have spent so much time with our sons for the first 18 years of their life! 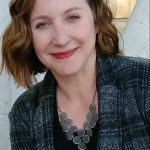 Sonlight deepened our family connections. 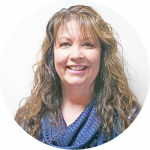 It is my desire to help you choose the best Sonlight programs for your family. I’d love to share our experiences—the good, the not so good, and the challenging—and be your cheerleader on the sidelines all year long! !